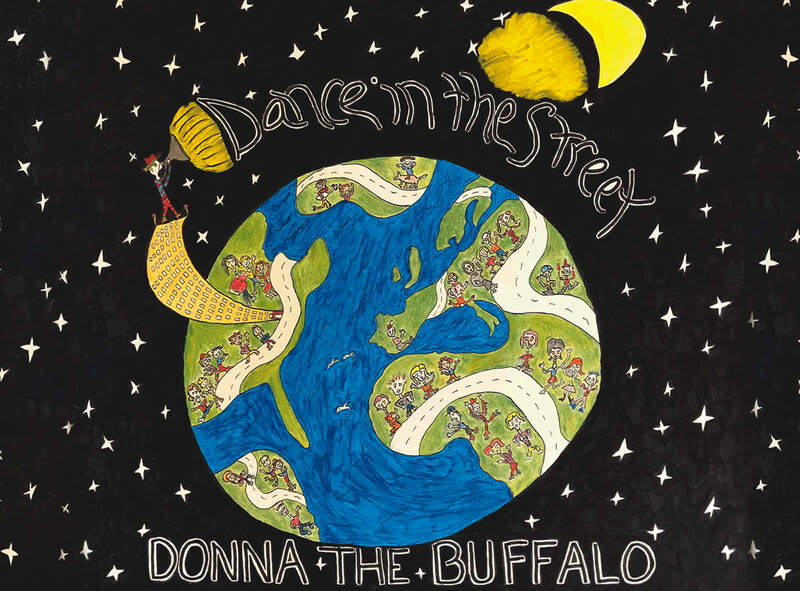 Donna the Buffalo joined forces with legendary Producer & Engineer Rob Fraboni to record their new album DANCE IN THE STREET at Sonic Ranch, the world’s largest residential recording studio built around an 80-year-old hacienda on a 3,300-acre pecan orchard right along the Mexican border, near El Paso TX. Fraboni is well known for his work with Bob Dylan, The Band, Eric Clapton, The Rolling Stones, The Beach Boys, Joe Cocker, Bonnie Raitt, as Vice President at Island Records where he oversaw the remastering of the entire Bob Marley catalog as well as producing the soundtrack on Martin Scorsese’s groundbreaking concert movie, The Last Waltz. He built and designed the legendary Shangri-La studios in Malibu to the specification of Bob Dylan and the Band and is referred to as a “genius” by Keith Richards in his bestselling autobiography Life. The schedule is out for the @darkstarjubilee! From the way it looks, I can't just drive over for the day? I have to pay for camping even if I'm not planning to stay? I would come just to see Donna, and live close enough to drive home. But I don't see single-day tickets. Meet you at the Jubilee! That is really fun, thanks for sharing! Wow, having a Rongo flashback. Wide eyed and looking for adventure! Took me a minute to find Jeb with no hat! WSKG TV in Binghamton will be premiering our appearance on their show Expressions this Thursday night at 8pm! Check it out! Mariel - can you stream?